I am writing to invite you to a very special event. On Saturday, March 24th VOICES is hosting the Always Remember Interfaith Service at St. Peter's R.C. Church and a scheduled visit to the 9/11 Memorial for those attending. The service will begin at 10:30am with uplifting music and reflections and will be followed by light refreshments. Visits to the 9/11 Memorial will begin at 12 noon, and because of the anticipated number of participants, visits will be scheduled on the half hour. There is no charge to participate, but we will require reservations in advance, as space is limited. St. Peter's is a historic church located on the corner of Barclay and Church Streets in Lower Manhattan, just three blocks from the World Trade Center site. It is the oldest Catholic Church in the state of New York, founded following the Revolutionary War when New York was the capitol of the United States. Immediately following the attacks on 9/11, the Church was used as a command station and a sanctuary for workers. The building itself was damaged in the attacks and has been completely renovated. It will be a beautiful place to gather together to reflect and remember. Your invitation to join us for this special service is below. As space is limited, we ask that you contact us by March 19th with the names of the guests who will join us. Children are welcome to attend. Please contact Michelle Doherty at 203-966-3911 or mdoherty@voicesofsept11.org. Our special thanks in advance to Father Madigan at St. Peter's R.C. Church for hosting the event, and to the 9/11 Memorial for their assistance in coordinating our visit to the Memorial. 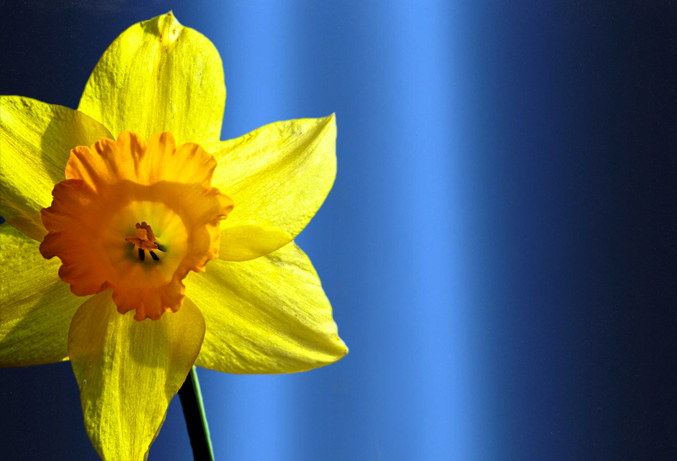 Why a Daffodil? The Daffodil Project was founded in response to the attacks of September 11 as a memorial, which would raise the spirits of New Yorkers and revitalize parks and communities. The Daffodil Project is a lasting tribute to the people who were lost and a symbol of remembrance and rebirth in the heart of what is common ground for all of the citizens of New York: their public parks.